I think that there’s a huge lack of love of all the communities that are most in need of affirmation, and then are most likely to be rejected by places like churches that should be affirming. That’s why I’m studying religion and am hoping to be a pastor. My dad’s dad was a Lutheran pastor, and my dad was raised Lutheran. My mom grew up Southern Baptist and then in college discovered Lutheranism which is the opposite of the kind of fire and the brimstone damnation kind of preaching, which she was really attracted to, so I’ve been raised, born and bred Lutheran. I never felt any kind of emotional tension about coming out to my parents. 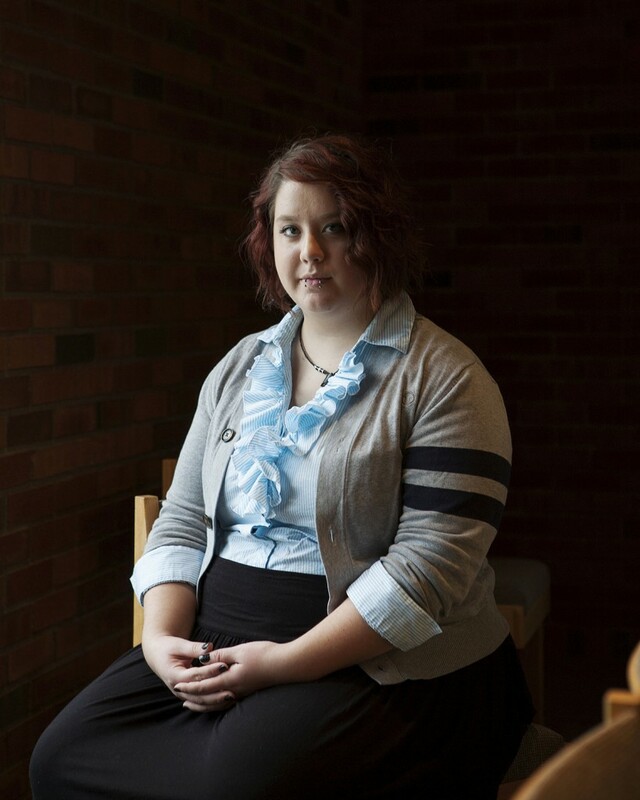 Their response was primarily, “We love you, and you need to love who you need to love, and tell us about your world now.” And I’m interested in the cross-sections between theological studies and queer studies which they accept and think is cool. One of the first times my mom and I had a real conversation about me being bi was when we were watching The Proposal and my mom was just like “so, are you like more attracted to Sandra Bullock or Ryan Reynolds?” and I was like “Mom, Sandra Bullock’s like 54, no thank you.” It’s felt silly and weird to have that conversation, but at the same time, just a normal part of my life and my parents’ lives now. When I look into my future, I don’t think, “I’m probably going to marry a man” or “I’m probably going to marry a woman” because that’s not what it’s about. I like women for the reasons that they’re women and I like men for the reasons that they’re men, and that’s why I consider myself bi and not pansexual. I don’t want to be too alike to the person I’m with, which I think manifests in different ways between men and women. When I like girls I like them because they’re girly, and I want to protect them, and I want to take care of them and I want to build them up and pedestal them, but not too much. But when I like guys, then it’s more being taken care of and being protected. Being attracted to the type of people I’m attracted to, they turn out to be straight if they’re ladies a lot of time. The girl that i’m in love with is straight-ish. And I really love her and I really want to spend a lot of time with her, but she’s straight-ish. So that’s scary for me. She might not be able to love me the way I love her. If she was not straight and just didn’t like me for whatever reason, that’s a thing that happens to anyone and everyone all the time. But being in love with someone who is not physically or spiritually capable of loving you back is stressful.